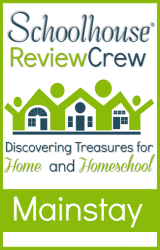 Have you wanted to include spanish in your homeschool schedule but are intimidated by complex programs?? 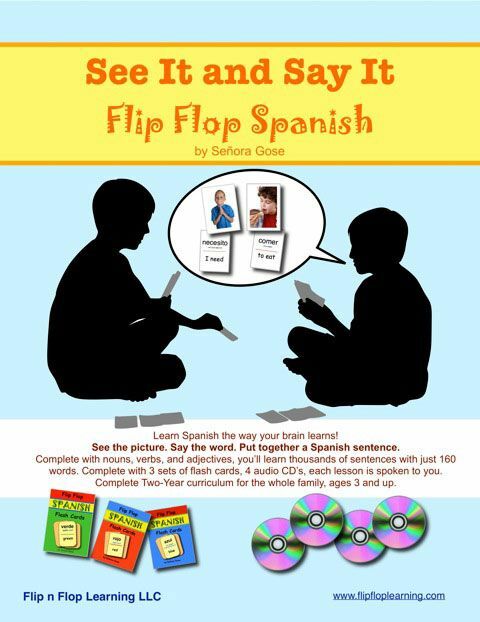 Then check out See It and Say It Flip Flop Spanish from Flip Flop Learning. 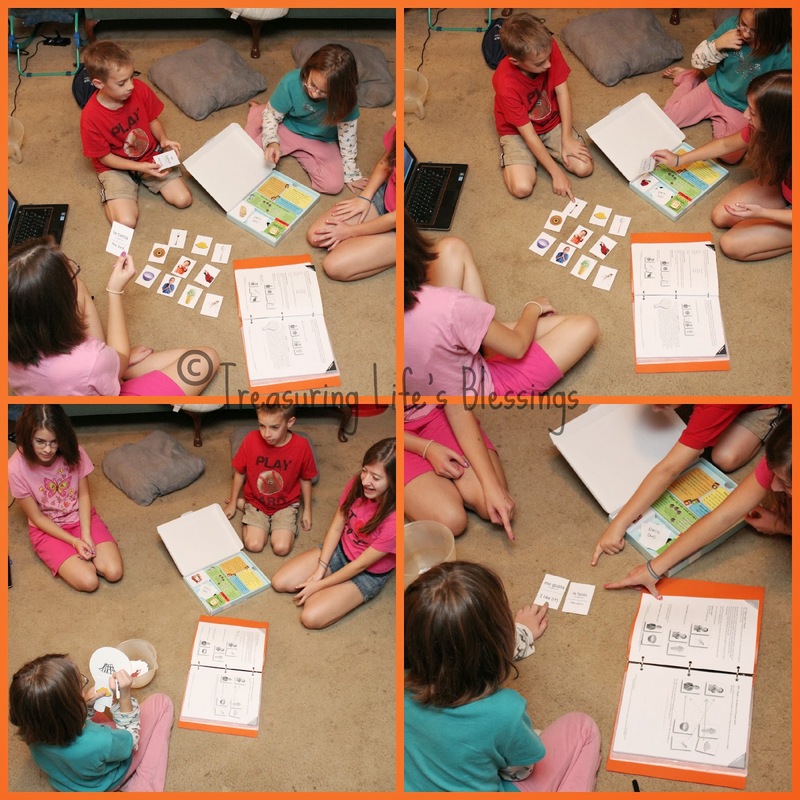 We recently had the chance to review this product with all my kids and were quite pleased with the results. 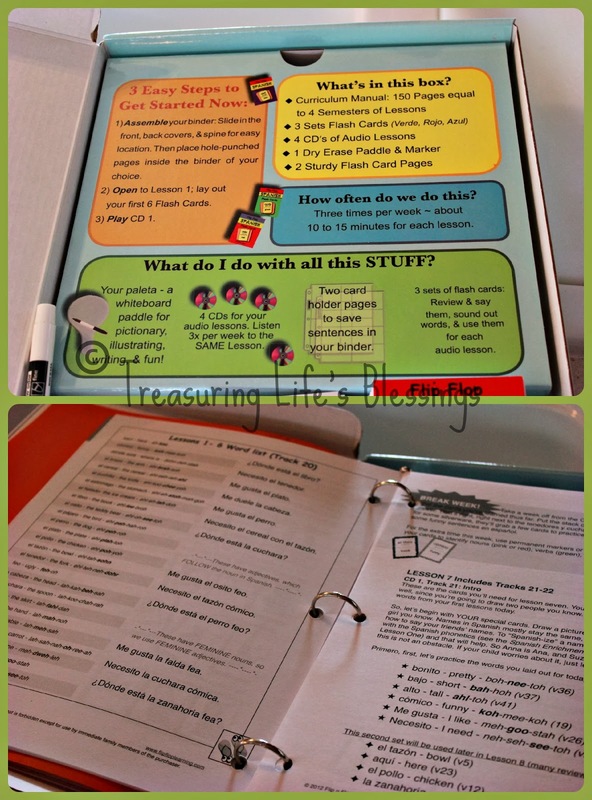 The first thing we noticed when opening the package was how organized everything was laid out with clear, easy-to-follow instructions that said precisely how to use this curriculum. No paging through a book to figure it out! 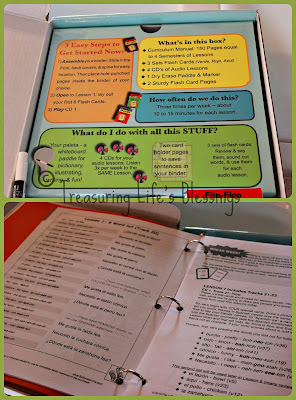 The lesson pages were already hole punched ready to put into a 3 ring binder. In fact, if your binder had the outside clear pockets, included was a cover page, a piece for the spine & a back page to put in! After we got the pages in the binder, we put the CD in the computer to play and opened the book to the first lesson. The lesson pages & CD walk you through step by step of how to best use this program. There is no prep work at all! It is set up to be a 2 year curriculum, doing 1 lesson per week (that you repeat 3 times during that week) though you can go at your own pace and move through it quicker if your children are grasping it well. It is recommended to use the CD lesson for the first 2 lessons each week then going on your own using the curriculum as a guide for the 3rd lesson. From the very 1st lesson, you start assembling simple sentences such as "Me gusta el helado" (I like ice cream). Not only do you have immersion with this curriculum listening to Senora Gose's easy-to-understand voice, you also have a picture for each word so it really helps reinforce the word both visually & audibly at the same time. The curriculum encourages you to flip the word over & flop it down as you say it but with teaching several kids at a time we didn't do this. I had the kids sit in a circle & point to the words instead. Older kids are encouraged to write sentences using the words they have learned which is what my older ones have done. Each time they were presented with new words, they wrote them in their notebook then later in the week they wrote sentences using these words which really helped reinforce what they were learning. They loved playing pictionary using the white board paddle. We would put the flashcards in a bowl and whose ever turn it was, picked a random card and had to draw it for the others to guess it in spanish. Whoever said the word correctly in spanish won the card. Other activities that we did were playing charades and speed rounds where the word was said on the CD and they had to race to point to the word. There are also other suggested activities listed on the website. This program is recommended for ages 3 and up. What impressed me was that due to the CD having you repeat words and use the flashcards at the same time, my 2 year old was attempting to say the words. Even more impressive was when shown flashcards and I would say the spanish word, she could point to the correct picture!!! My kids beg almost every day to do this program (which takes at most 15 minutes a day). I love the simplicity of it yet how much they are learning daily. Definitely a wonderful program that you can use with any age group all at one time!